Discover all that Hanoi has to offer with Regal Hotel – Pham Huy Thong as a base. All hotel's guestrooms have all the conveniences expected in a hotel in its class to suit guests' utmost comforts. Each guestroom is tastefully appointed with non smoking rooms, air conditioning, bathrobes, daily newspaper, desk. This beautiful Hanoi accommodation provides 24hr room service, elevator, laundry service/dry cleaning, restaurant, room service, safety deposit boxes, hotel/airport transfer, tours to suit all guests' utmost convenience. 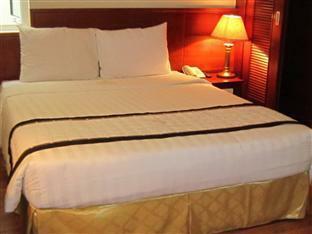 The Regal Hotel – Pham Huy Thong provides a warm and welcoming service of international standard. For your reservation at the Regal Hotel – Pham Huy Thong Hanoi, please choose your period of stay and fill out our secure online reservation form.